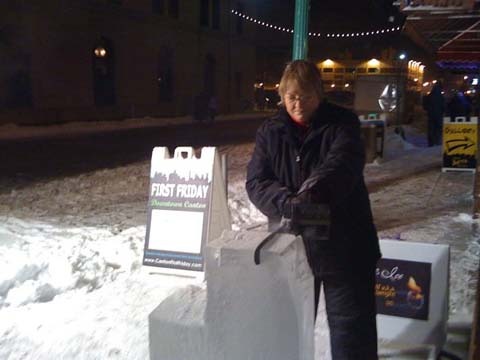 We have an annual Ice Festival in the Canton Arts District on the first First Friday of the new year. In the past, I have carved ice sculptures for the event, but this year I am staying indoors. 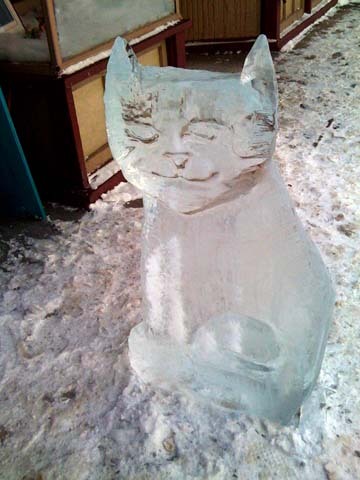 I am still making an ice cat, though! This year, I am working with Glassmith Artists to create an ice cat out of glass! We are creating the above image as a stain glass artwork. 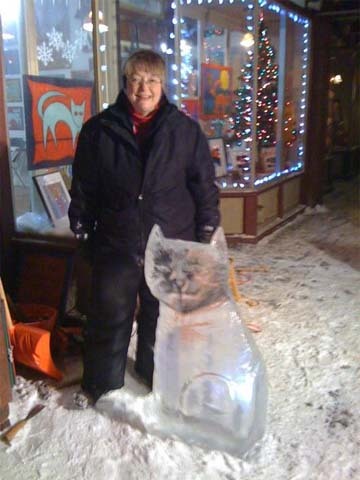 If you are in Canton, be sure to stop by tonight and see the “Ice, Ice Kitty!” at the Creative Ohio Gallery. if not, you can follow the evening’s events on the Creative Ohio Facebook page. Also, if you would like to buy a print or the original artwork, please contact me. The original is $60 + shipping. Prints (to fit 8″ x 10″ frame) are $25 + shipping. The stain glass piece will also be available for purchase at a later date.